We're glad you found the History of WOWO.com! Our goal is to share and preserve the rich history of Fort Wayne's legendary 50,000 watt radio station. We encourage you to explore the many sections of this site. Much of the material you will find has been contributed by visitors like you, so please contact us if you have additional material to share! WOWO's roster of air personalities, like Bob Sievers, Jack Underwood, Dugan Fry, Jay Gould, Chris Roberts, Ron Gregory, Bob Chase, Don Chevillet, John Cigna and many others created a lifelong bond with the citizens of WOWOland. In its earliest years, WOWO Radio also launched the careers of many prominent broadcasters, including comedian Herb Shriner, Fort Wayne TV pioneer Hilliard Gates, and Tom Carnegie, known to millions worldwide as the voice of the Indianapolis Motor Speedway. And with Indiana's most powerful radio signal, WOWO Radio gave listeners throughout the eastern half of the United States perhaps their only impression of Indiana. Among the most interesting items that you'll find on this site: the first-hand story of the station's birth from one of its founders, many never-before-seen photos from station staffers, extremely rare recordings like the morning that Bob Sievers was "streaked" on the air, Chris Roberts' very first appearance on the station, some hilarious bloopers, plus exclusive interviews with many former WOWO staffers. We are sorry to report the sudden passing of current WOWO morning host Charley Butcher. 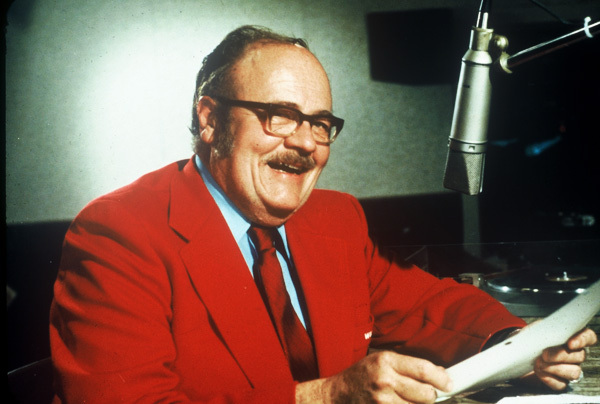 Charley was the host of "Ft. Wayne Morning News with Charley Butcher" for more than 15 years on WOWO, and had been a part of the Fort Wayne radio community for 35 years. Here's an interesting interview with Charley, conducted by students of Croninger Elementary School in 2016. We were recently given access to WOWO's official video archive. Thanks to two gracious video archivists, we a have added very rare content to the WOWO Video page! The material includes TV spots and sales presentations from the 1960s, 70s and 80s! Our primary focus is on WOWO's decades of dominance under the ownership of Westinghouse Broadcasting, but we will be doing our best to chronicle everything related to the History of WOWO!! The History of WOWO.com is a labor of love by a former WOWO Radio staffer with cooperation from many other WOWO fans and alums. If you have any WOWO airchecks, jingles or photos, please contact us and share them! Many of the sounds and images on this site have been submitted by visitors like you! We are also interested in your comments and suggestions on how we can improve the History of WOWO.com.